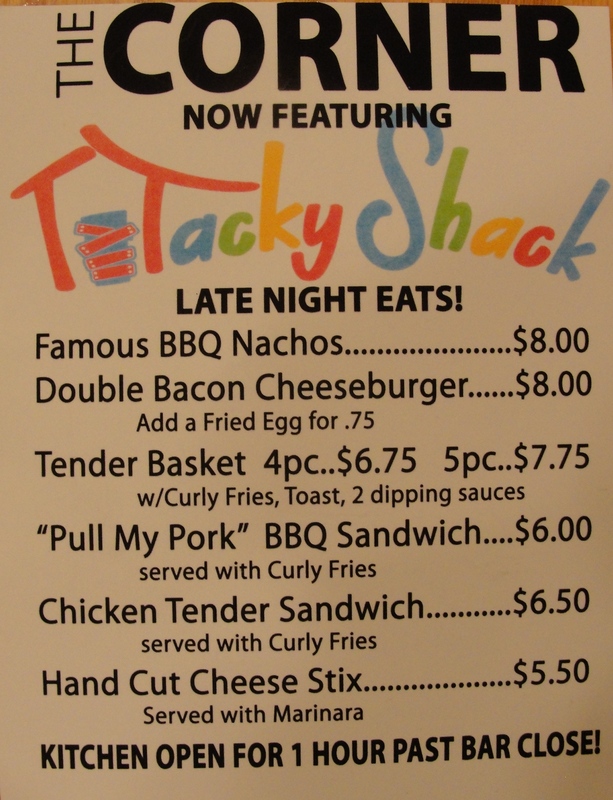 For those who are guilty of late-night Tacky Shack cravings, owner Clint Boutwell will be answering the call by offering a late-night Tacky Shack menu inside The Corner Bar on The Square (in the former location of Parrish’s). Starting this Thursday night, and continuing each Thursday through Saturday evening, items such as BBQ nachos, double bacon cheeseburgers, chicken tender sandwiches and hand-cut cheese sticks will be served by Tacky Shack at The Corner Bar. Best of all, the kitchen will remain open for one hour past the bar close time! The original Tacky Shack location on Jackson Avenue, which just debuted another new menu item tonight—Chicken & Waffles on a stick—will keep its regular daytime hours in addition to the hours at The Corner Bar. 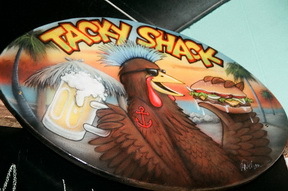 Tacky Shack on Jackson Avenue is known for its big burgers with multiple toppings, fries, onion rings and endless milkshakes. But, this Wednesday, the restaurant will debut something a bit healthier—a full line of salads—with an option to build your own. From chef to cobb to steak to caesar, eight salads will be on offer with the option to add on five different types of protein, such as salmon filet and grilled ribeye steak. The build-your-own option allows you to choose your own greens, toppings and dressing. 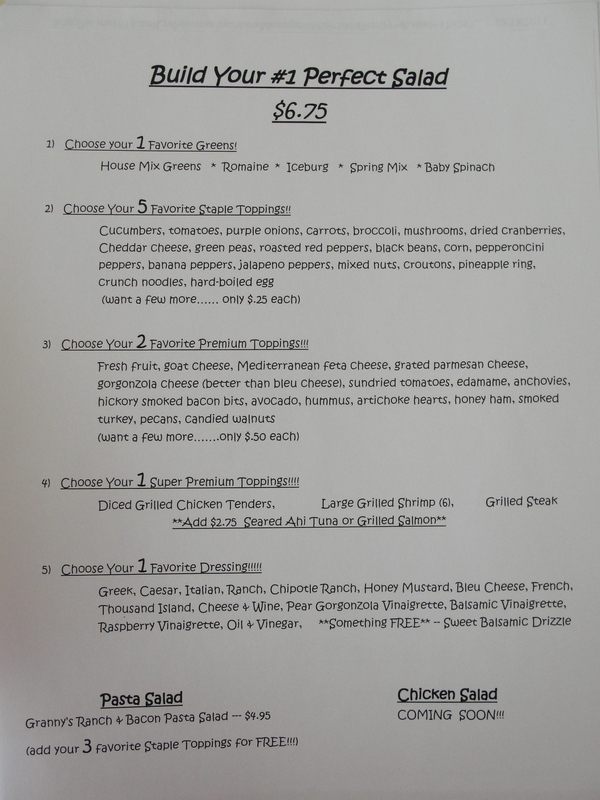 All salads will be available for dine in or takeout. 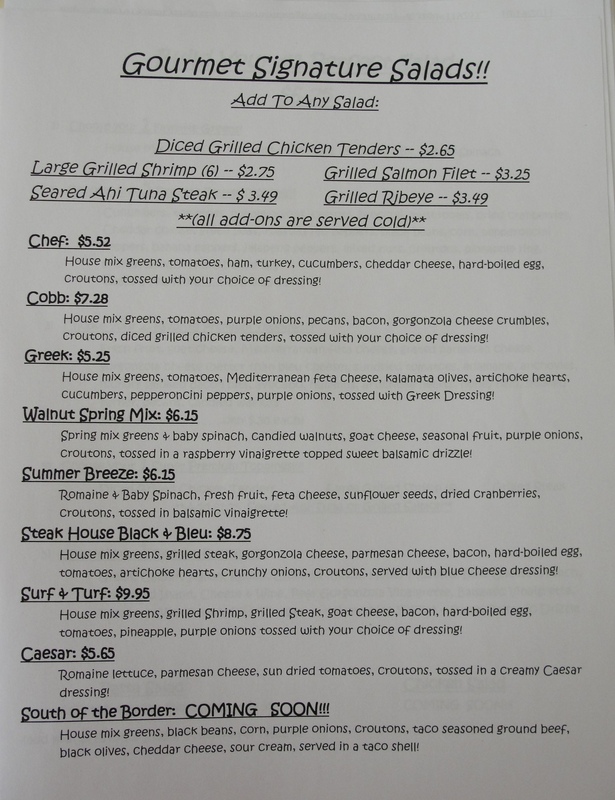 Check out the attached menus to find out more (prices subject to change). The big, colorful exterior sign is up, the decked out VW Beetle is ready in the parking lot, and hiring has been underway all week at Tacky Shack, located next door to Rice & Spice on Jackson Avenue. It appears the restaurant is about a week away from opening, and owner Clint Boutwell is anxious to introduce Oxford to his funky concept. Read more about Tacky Shack here in the original posting on EatingOxford.com, and visit the Facebook page here for updates. 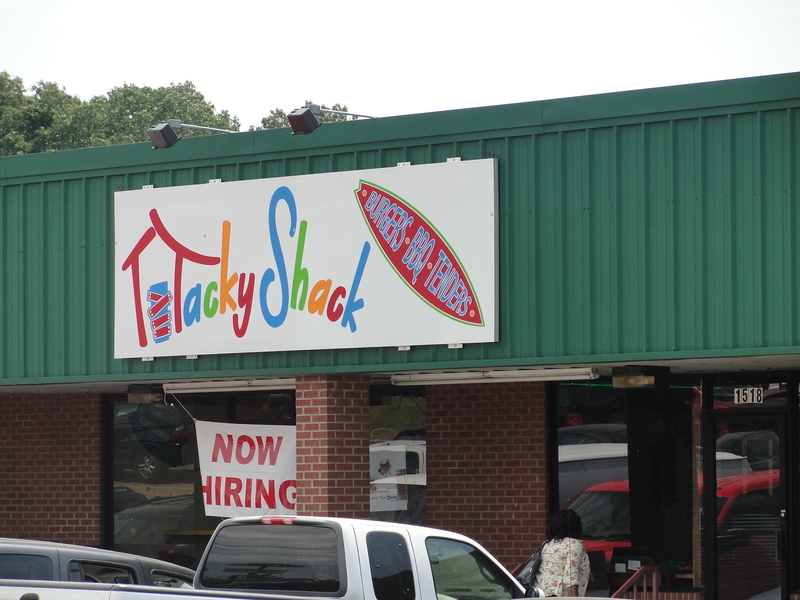 Tacky Shack, a new restaurant concept that recently opened in Grenada, Mississippi, is on track to open a second location at 1518 Jackson Avenue West this coming April. Chef owner Clint Boutwell says that he attended junior high and half of high school in Oxford and he’s prepared to bring some good food with him when he returns this spring to run Tacky Shack. A chef for the past six years, Clint wanted to open a more funky-style restaurant, so he travels to Florida and picks up objects of a “tacky” persuasion for Tacky Shack’s decor and says that the restaurant’s style is “beach tacky” with bright colors, surfboards, and a VW Beetle with a flat screen TV in the windshield for the kids. According to Clint, the menu will consist of custom-made burgers on sweet sourdough buns with topping selections such as fried egg; bacon; peanut butter and jelly; and grilled beer onions. Also available will be cooked-to-order, fresh-battered Tyson chicken tenders; smoked pulled-pork BBQ sandwiches served on Texas toast; and a variety of sides including curly fries, cole slaw, sweet potato waffle fries, onion strings and potato salad. Beer will be available to wash it all down. For more information, you can view the website currently available for the Grenada location here.